Mundosparalelos Information Plymouth Plymouth's delights. This week has given me the chance to take a little time off to share the delights of Plymouth with my Mother In Law and her partner. My husband and I wanted to show off some of our favourite Plymouth places and where better to start than with a Port of Call breakfast. The Port of Call at West Hoe has a special significance for me as it is where my Mum, Fern (one of my bridesmaids) and I had breakfast prior to my wedding. OK, so the cafe is not fine dining but it is good, honest food with cheap prices and a lovely, friendly, family feel. 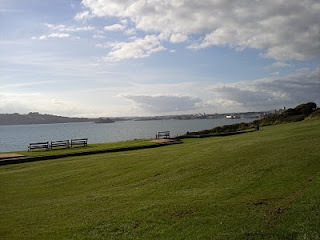 We couldn't share the delights of Plymouth without a traditional Devon Cream tea at the Jennycliff Cafe where we could peruse the Sound and the amazing panoramic coastal views (see picture top of blog of the view north from Jennycliff looking back towards the Hoe). 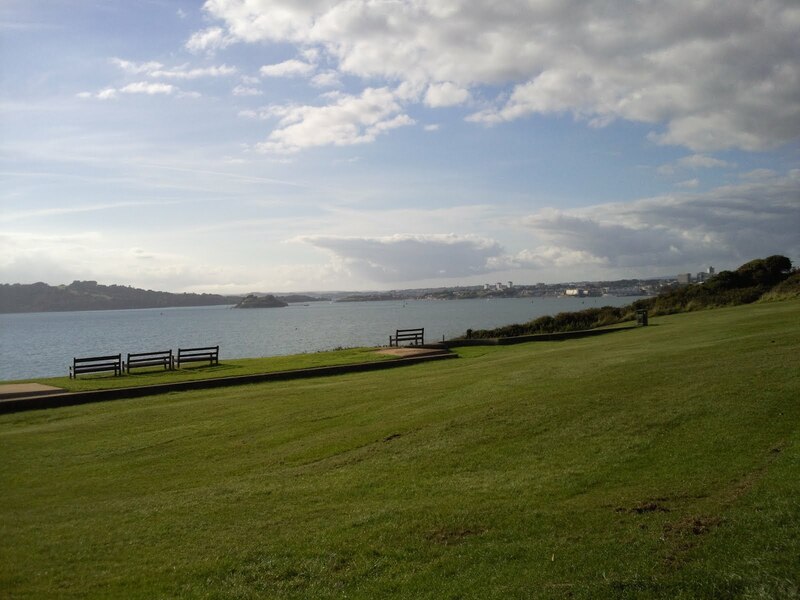 Check out this and other fantastic viewpoints along the South West Coast Path. Tuesday night meant al fresco dining at the Seafood and Pasta Bar where we could enjoy a mild September evening and Bouillabaisse by the sea. The views across Sutton Harbour are simply stunning and this restaurant has a lovely menu and great customer service. Another local attraction that seems to be overlooked by many is the Dartmoor Zoological Park at Sparkwell, just 5 miles from Marsh Mills roundabout. The DZP has always been a firm favourite of mine and it as great to see the many improvements being made to the animal enclosures. The visit started with a trip to the Bears, Coati's, Owls and Foxes before making it to the Tiger enclosure just in time for feeding. Whilst I enjoyed the feeding Solomon the Lion treated us to an unplanned roaring session which may have been in protest at the fact that it was not him being fed! Josie the lioness also made an appearance and came within about 3 feet of me before deciding the tiger's meat looked decidedly more interesting. 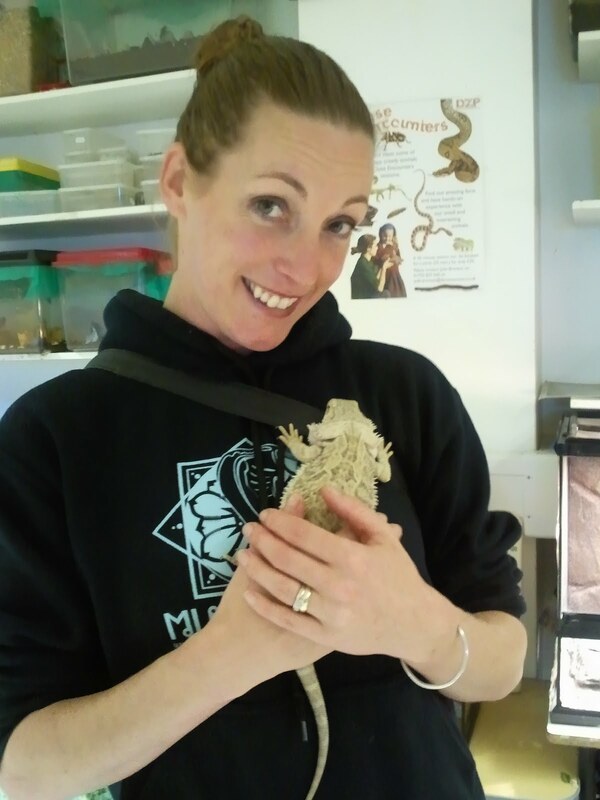 As the Zoo Park was quiet I was treated to a special close encounters session where I got the chance to pet some of the parks less cuddly creatures including a giant land snail, hissing cockroach and my favourite reptile, Clive the Bearded Dragon (see picture right). I also got to see 2 of my favourite birds a scarlet macaw and a blue and gold macaw. It is so sad to hear that the park is facing such financial difficulties and I really hope that the Park can hang on in there until it starts to reap the rewards of the film royalties due next year. DZP is a great family day out and is good value at just £8.95 for an adult pass and £33 for a year's unlimited pass. I can't wait to purchase my annual pass and make DZP a regular day out. I also hope to save up for a behind the scenes day too. Wednesday evening meant fine drinking courtesy of the Seco Lounge, giving us a chance to peruse the stunning Royal William Yard development before dining at the Butcher's Arms. It was my first trip the this establishment but it won't be my last, this undiscovered gem ticks all the right boxes for great food, real ale, excellent service and a relaxed atmosphere. The Black Rock Grill is superb value for money and tastes amazing. I mentioned in a previous blog about the marvellous aroma wood-fired pizzas that I had sampled so I couldn't resist the opportunity to pop down and take a picture of a pizza being pulled from the oven - check out the results below. 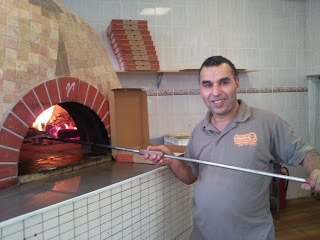 Once you have tried this pizza you will never eat at a franchised pizza establishment again. Before I sign off for today I must give a mention to Moet who died on Wednesday night. Moet was the oldest and bravest cockatiel I have ever had. He was rescued from Woodside and was in a poor state, he then endured an attack by my battery chickens which nearly killed him. 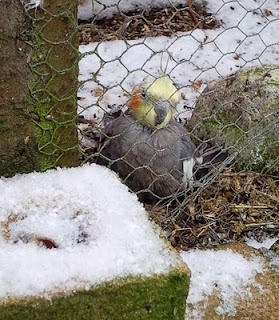 Despite his injuries Moet battled on regardless and was a big character within the aviary. He had a lovely sea burial by moonlight at 9pm last night on the Hoe. Hopefully he was not caught by any of the local fishermen! Must get ready for my performance at the Ladies night at Tenpin bowling later!